Our latest Trail Mix e-newsletter on Besser Natural Area drew a lot of interest from parents looking for places to take their kids outdoors. 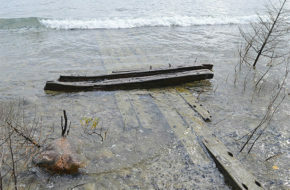 So we decided this edition of the MichiganTrailMaps.com web site should be devoted to even more great Michigan adventures for kids. Plus one that was a remarkable experience for Jim DuFresne and his daughter halfway around the world. Enjoy and get them out on the trail early! We’re not only constantly adding new trails and maps, but also now have a newsletter and a blog by outdoor writer and author Jim DuFresne. Sign up for the Trail Mix Newsletter by clicking here. Need a good trail map or a guidebook to what lies beyond the pavement? Check out our shop stocked with our latest backpacking maps and books personally autographed by the authors who wrote them! 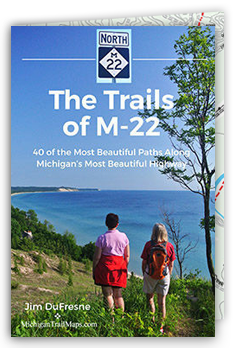 It's the best and most affordable way to purchase maps and trail books to Michigan. January 15, 2019 Funding Our Natural Gems – Users or Society? 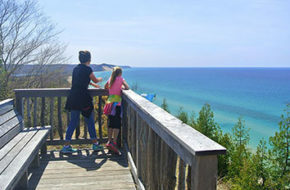 Here are eight more Michigan adventures to build enthusiasm in children for playing outdoors.